1Right-click your desktop and choose Personalize. 2Select Desktop Background from the windows’ bottom left. The window shown here appears. 3Click a new picture for the background. 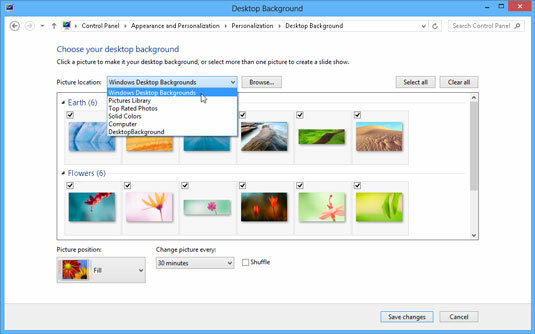 Be sure to click the drop-down list to see all the available photos and colors that Windows offers. To rummage through folders not listed, click the adjacent Browse button. Feel free to search your own Pictures library for potential backgrounds. When you click a new picture, Windows immediately places it across your desktop. If you’re pleased, jump to Step 5. 4Decide whether to fill, fit, stretch, tile, or center the picture. Not every picture fits perfectly across the desktop. Small pictures, for example, need to be either stretched to fit the space or spread across the screen in rows like tiles on a floor. When tiling and stretching still look odd or distorted, try the Fill or Fit option to keep the perspective. Or try centering the image and leaving blank space around its edges. You can automatically switch between images by choosing more than one photo. (Hold down Ctrl while clicking each one.) The picture then changes every 30 minutes unless you change the time in the Change Picture Every drop-down list. 5Click the Save Changes button to save your new background. 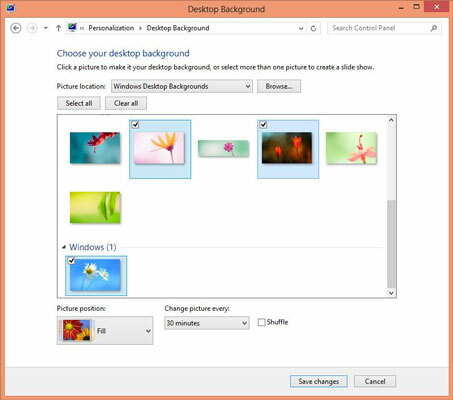 Windows saves your new background across your screen. Did you happen to spot an eye-catching picture while web surfing with Internet Explorer? 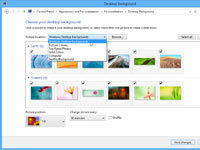 Right-click that website’s picture and choose Set As Background. 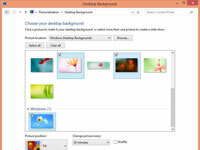 Sneaky Windows copies the picture and splashes it across your desktop as a new background.